If you live in Canada the summer is almost over, there are only 7 weeks until the fall season kicks in, you can still enjoy the remaining days of the summer by visiting your nearest beach before Saturday, September 22 which is supposed to be the last day of summer. As the country with the worlds longest coastline, it’s a given that Canada would have plenty of beaches to choose from. And when you add the many beaches on lakes, you have to agree that we’re pretty spoiled for choice picking 10 wasn’t easy. But these beaches are some of the best in the land and ones you really should put on your (sand) bucket list. Today’s Parent says that Ingonish Beach offers you the best of both when you can’t decide between warm and cold. The calm, warm water of Freshwater Lake is separated from the cold Atlantic by a dividing wall. Sandbanks Provincial Park, Ontario according to the Toronto Sun, the Sandbanks Provincial Park is home to the largest freshwater sandbar and dune system. Those dunes make for perfect photo opportunities. Basin Head Provincial Park, Prince Edward Island; Reader’s Digest singles out another of Prince Edward Island’s many great beaches: Singing Sands, or Basin Head Beach, make a squeaking sound when you walk on it as if it is singing. 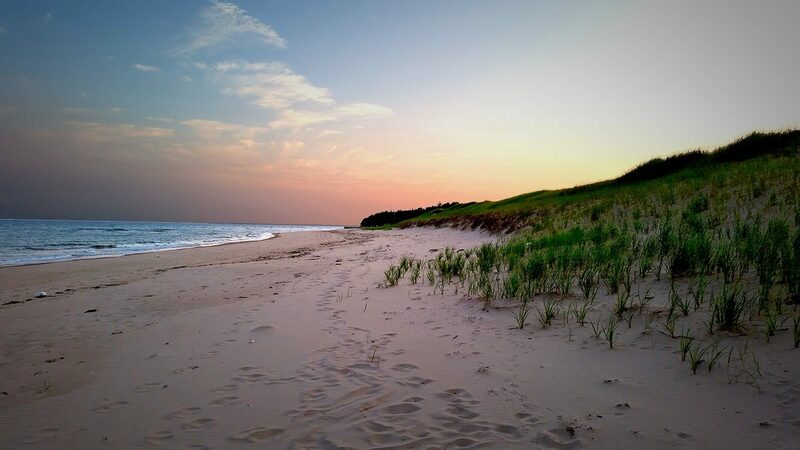 Brackley Beach, Prince Edward Island according to Expedia, Brackley Beach has a special offering that will appeal not only to the kids but to your inner child too: sandcastle-building classes. 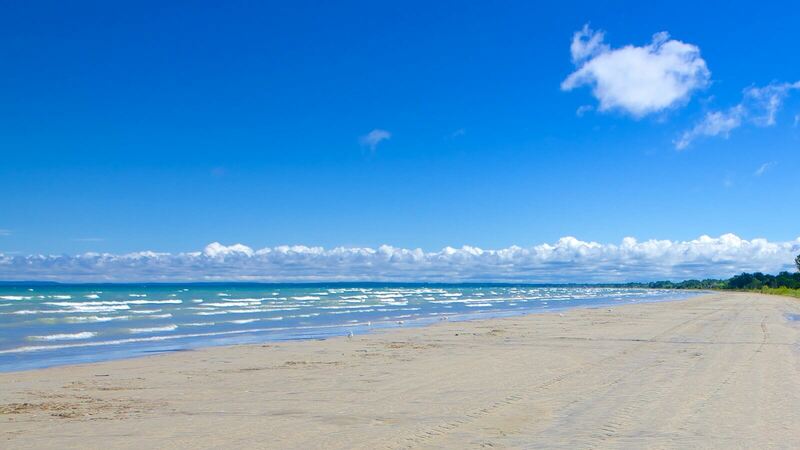 The beach at Grand Bend is the star attraction at this popular holiday village on the shores of Lake Huron. 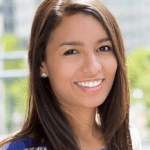 There are actually two main beaches, with the northern one for the hip and happening crowd and the southern one for families who want something quieter, according to Reader’s Digest. 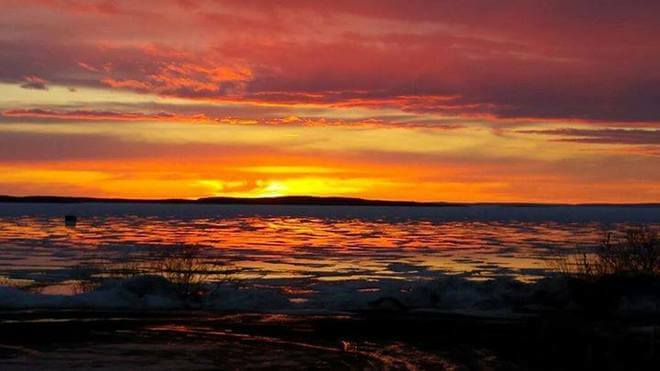 Devonshire Beach – Lesser Slave Lake Provincial Park, Alberta, the Toronto Sun says that Devonshire Beach is often considered to be one of Alberta’s best beaches. Its soft sand stretches over 1.5 km. Manitou Beach – Little Manitou Lake, Saskatchewan, another of the Toronto Sun’s choices is Manitou Beach on the shores of Little Manitou Lake, about 120 km from Saskatoon. The real attraction here is the lake itself, which has such high salinity levels that it’s Canada’s version of the Dead Sea. Long Beach – Tofino, British Columbia, reader’s Digest picked another Tofino beach as one to visit. Long Beach is part of Vancouver Island’s longest sand dune, and in the warmer months, you can spot grey whales. 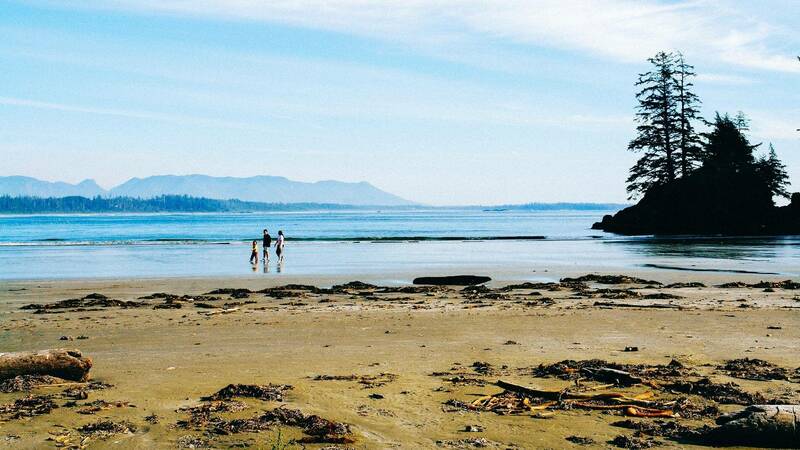 Cox Bay – Tofino, British Columbia, Expedia says that Cox Bay is a great choice if you’re traveling with kids. At low tide, you may find seastars and barnacles in the tidal caves at the northern end of the beach. Cox Bay is considered one of Canada’s best surfing beaches. 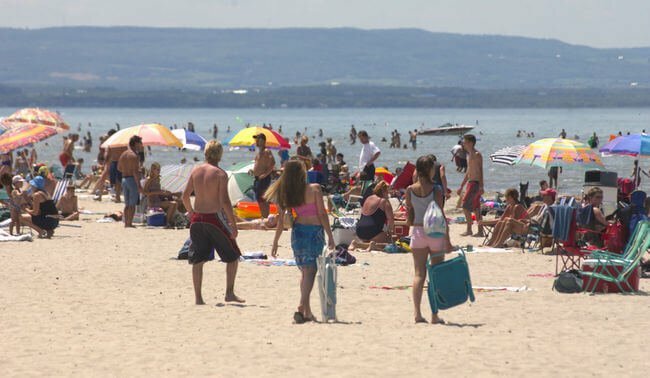 Wasaga Beach – Wasaga Beach Provincial Park, Ontario, according to the Toronto Sun, Wasaga Beach is a popular summer destination for Ontarians. It’s the world’s longest freshwater beach and areas 1, 2 and 5 have been given Blue Flag status recently. Blue Flag status is an eco-certification for cleanliness, safety, and environmental standards.